Knowing your forage yield is vital to creating an accurate grazing plan. In these videos, Dr. Joe Brummer at Colorado State University’s Department of Soil and Crop Sciences demonstrates four different methods to estimate your pasture yield: the cut and weigh method, the grazing stick method, the falling plate method, and the rising plate method. 1. Cut and weigh is the most accurate method. Using a 0.25 square meter frame, trim the forage that falls within the quadrat to ground level. You should take at least 10 cut and weigh measurements across your pasture to get accurate results. Assuming the grass is 20% dry matter, multiply the wet grams of forage by 0.2 to get the value in dry matter. If your quadrat is 0.25 meters squared, multiply the average grams of dry matter by 35.69 to convert to lbs/acre (conversion rate for a 0.25 square meter quadrat). The conversion rate you choose will depend on your ground cover and forage type. 2. Using a grazing stick is the most commonly-used method for estimating forage yield. Walk the pasture and take about 30 different height measurements to get a good estimate of your forage height. Measure the forage height to the last number you can easily see on the grazing stick. Take the average of all of your height measurements. Multiply this average forage height by 250 lbs/acre/inch of height depending on your forage type and coverage. Check your grazing stick to find the correct conversion rate for your pasture conditions. The result of the conversion will give you forage in lbs/acre. 3. The falling plate method uses a grazing stick or yard stick to measure the height of forage under a heavy plate. The compression of the grass under the plate leads to a more accurate height estimation because you are not eye-balling the forage level. You should do repeat measurements across your pasture with this method as well. Using the average plate meter height in inches, multiply by 432 lbs/acre/inch of forage height to get a forage estimation in lbs/acre. 3. The rising plate method uses a rising plate meter, a piece of equipment developed in New Zealand. If you have a rising plate meter, walk the pasture and take about thirty measurements. To take a measurement, press the rising plate meter onto the pasture surface and push to the ground. Pull up the rising plate meter and it will beep, showing you the forage height measurement. The rising plate meter will also calculate the average height measurement after you take several measurements. Take this average forage height value and multiply by 126 lbs/acre/cm of height to convert to lbs of forage per acre. 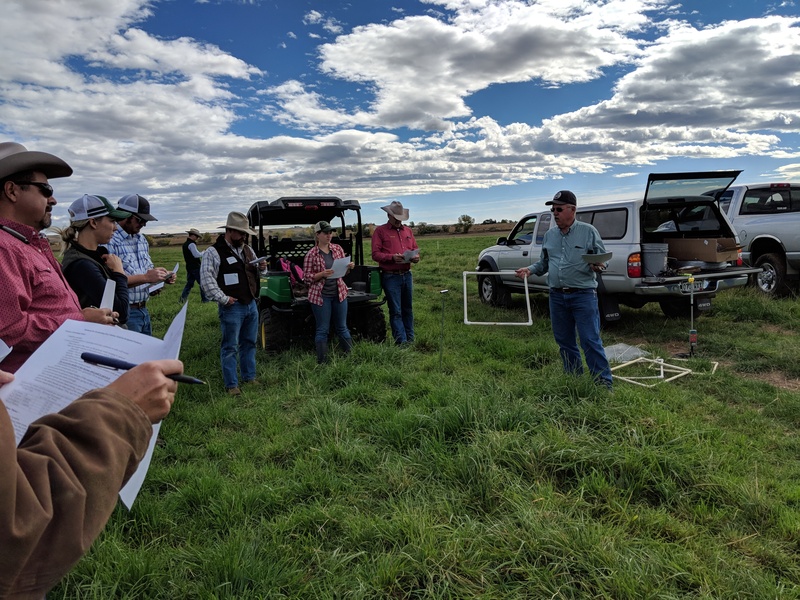 These conversion factors are estimates for the specific pasture conditions at the irrigated pasture at Colorado State University, so you may need to do some research to see if these conversion rates will be accurate for your pastures. The rising plate method may be the most convenient, but the rising plate meter cost CSU $700. Dr. Joe Brummer is an Extension Forage Specialist and associate professor of Forage Science at Colorado State University’s Soil and Crop Sciences department. 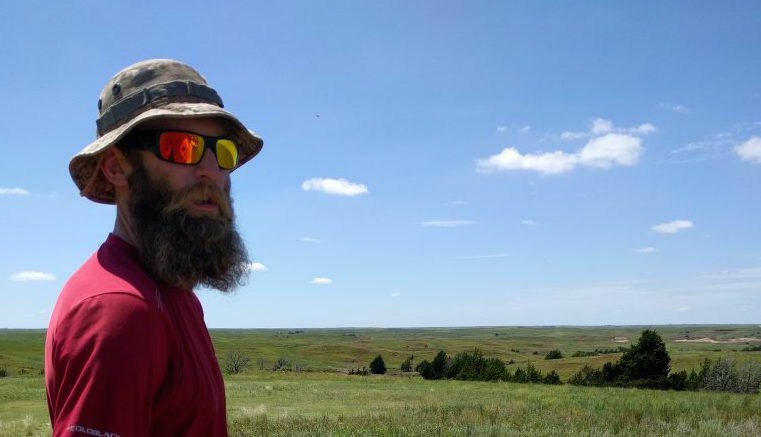 He leads the CSU Grazing Project, researching the production and economics of converting a pivot of irrigated corn to irrigated pasture under management intensive grazing.